Scientists use the following as an example of reasoning and subterfuge in an animal. A blue jay is in a tree while its fellow blue jays are scavenging some food on the ground below. As a corvid it is capable of mimicking many sounds, such as the screech of a hawk and it emits just such a screech which immediately scatters its fellow jays to the wind. Then the clever bird descends and enjoys the feast all to itself. Is there any explanation other than thinking? One thing I agree with you on, Burl, is that we are getting a lot of valuable information here. I feel like I am on top of the situation with my dog. Words cannot describe how awe inspiring it is that a dog could give us humans the opportunity to see and feel our own life force projecting endlessly into the universe, it brings tears to my eyes. There once was a man whose beloved dog began exhibiting aggressive behaviors, seemingly unprovoked. Man went looking for help. Man came across trainer who claimed to be able to remedy the situation if the man was willing to implement certain techniques. Man could not understand trainer’s theories. Man lashed out at trainer. Trainer stayed patient and tried to explain in every possible way, every poooossssssible way, to man, but to no avail. Man still could not understand. Meanwhile numerous other men and women were grasping trainer’s theories and were having multiple successes with their dogs. Man who could not understand became more aggressive, but no matter how much he growled and howled he could not stop the work from working. Man was completely frustrated. Dog was no better. I am a smart man he thought. I have a PHD. This resistance is getting me nowhere and my weak tangential arguments that are not even based in work that is actually of my own creation are making me look… bad. Christine Randolph, I think you are awesome! Thanks for sharing all that Crystal. To clarify, I sought advice about our renegade beagle mix elsewhere, she only came up here in passing. Also, I never mentioned a PhD, I did tell Kevin I taught when he asked – I never saw this as relevant here. “Dog was no better.” Thanks for your sincere concern for Peanut, but she actually seems to be doing well. That’s great then, Burl, because if I recall Kevin dismissed you from class. Burl, I’m sorry, that was wrong of me, I was angry. What I should’ve said was good luck, and I am grateful for you introducing me to Whitehead’s writings. I do mean that sincerely. I believe Kevin’s theory of an operating system of animal consciousness will prove to be the new model to replace the disjointed fields of study you mention,but that acceptance won’t happen without considering evidence such as you’ve brought forth. A line from Indigo Girls is gripping my awareness…”The less I seek my source for some definitive, closer I am to fine!” Somehow, I was always jealous of the artist’s temperament, ‘cuz the ‘over-examined life’ touted by Socrates is definitely less natural. Heather I don’t feel you need to apologize. “The truth is in the anger.” Burl takes a free license to say anything. You actually have attended one of my seminars and have been willing to take a leap of faith until your understandings all sort out. You are trying to learn. In the current network consciousness of public discourse there is a double standard. The denial-of-emotion polarity can say anything, they don’t stay on track and skip from topic to topic rather than direct answers because they aren’t burdened with the emotional impact of meaning. Internal contradictions don’t trouble them. Whereas at the expression-of-emotion polarity one feels the meaning of the words and it is a struggle to pin point them into an articulate framework which still rings true. (This is why we need poets and song writers.) So if an internal contradiction makes you angry, that is true and that will lead you to the truth. And this is even more germane to living with a dog than any discussion on a forum. 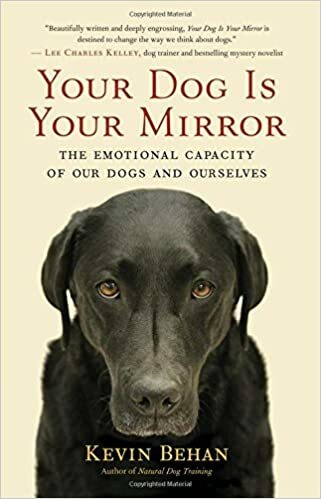 The guilt that arises after the anger is a deeper form of collapse and is where the real problem occurs because we lose a degree of Will, and it is our Will which organizes our dog’s mind. Right now guilt is running the dog marketplace and it is the strongest form of emotional repression there is, and this is why there is so much “problem behavior” in the modern dog. Cesar Millan is so popular because he is offering an antidote to the guilt paradigm and is attacked for the same reason. My complaint is that he’s not offering an intellectual framework that rings true, even though he has a lot of feeling for what he’s doing and is indirectly talking about the Will and so people feel free for awhile but sooner or later reasons get in the way and the Will (how the body plugs the brain into the group mind) is trapped by the shortcomings of the wrong intellectual framework. I don’t worry about Burl. He can dish it out. Remember, the truth is in the anger, trust the confusion, and Keep On Pushing! Thank you Kevin. I agree that the truth is in the anger…but the most important thing of all, the whole purpose of everything, is to see the exact point in the circle at which you plug into the network, and at that point the unresolved emotion of those who were fodder for the network needs to be honored. So I would say it is not guilt but honoring, I am eternally grateful for the circle that Burl completed for me, without Burl to keep bringing up Whitehead over and over and over, I was going to remain stuck because I did not see where Whitehead plugged me into the network. THere are infinite places to plug in, I think as we see them we need to make amends for the damage inflicted by the acts from anger/guilt and triggered before we were able to identify the self-defeating logic loop. Nobody is ever going to be 100% free of the shortcomings of the wrong intellectual framework, so humility is important above all. Haha…when I’m not here you know it’s because I’m being of service to the Operating System Mothership…they are very busy helpng us all communicate over MULTIPLE CHANNELS. Thanks Billy!!! So if we are one group mind with our dogs, then I couldn’t have picked a dog that expresses my heart better than a Newfoundland. Exactly. But don’t count out the lawyers, haha, they may not be eloquent but they have taken an oath to zealously represent their clients and they have laser-beam focus on the Truth. Kevin, you do not train circus dogs, you train police dogs. i had to laugh soooooo much reading the most recent entries, thank you guys !! …the best one is the speculative behaviour model of seb thinking burl has used the jay bird model of subterfuge to confuse the issue and be taken a bit more seriously as Bill ???? It is true that I too am not able to understand a certain percentage of what Kevin is saying. this is why i have great hopes that the new book might contain many diagrams. I just cannot grasp the required percentage of a process unless i have a diagram. 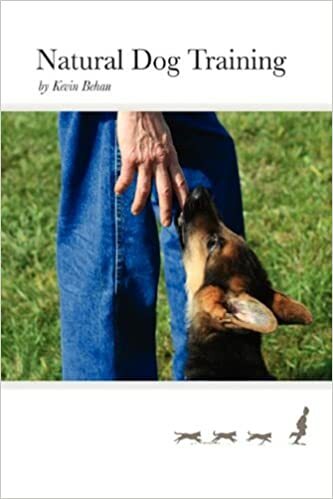 …for whatever it is worth i understand more of what Kevin is saying than of what Whitehead is saying…i am more motivated because it has more to do with dogs. I think we all potentially have dangerous dogs. simply because they do not have much common sense…this is also the main reason why people are dangerous (especially people with kids, dogs, porsches, motorbikes etc…) ! Billy put it in your paper. how are dogs without common sense dangerous ? any dog that has escaped his or her enclosure/ leash, can make an old lady trip over him or her, can cause an accident with a motor vehicle etc. therefore it is vital to think about dog behaviour and how we can avoid any incidents. the premise is that if we can figure out how they generally operate, we can make it so they are safer and the rest of the population is safer from them. and that we can make their lives better, after all they are our dependents. if science’s tendency is now to postulate that dogs think just like humans, then they are more than ever barking up the wrong tree. if dogs by some quirk of the gods could appreciate that scientists think that now, they would laugh their heads off. it has never been a great concern of mine that I only have a partial understanding of something….after all, humans have only a partial understanding of their own existance and we are somehow dealing with that every day. Christine, you have a rare gift of insight, and the most wicked sense of humor, it is amazing. If Burl invented Billy to pull a Jay trick on me, he has redeemed himself. The irony is so delicious I can’t help but savor it. But since anonymity blurs the line in the veracity of posting, it will have to remain admiration from afar. Excellent observations Christine, thanks. Speaking of “Jays,” I predict that Burl will pull a Jay Leno, and keep coming back, over and over, until he’s unable to get a rise out of anyone here. Also, as someone who not only studies psychology but writes dramatic fiction, which requires an ability to create characters primarily through dialogue (and which carries with it a sensitivity to people’s conversational rhythms and tropes, even on the internet), I would have to say that Billy and Burl are not the same person. I wouldn’t put it past Burl to try something like that, it would just require more intelligence than he seems capable of. This reminds me; there’s another way that Burl and Jay Leno are alike: the password is duplicitous. As it is Now and Forever Shall Be, Dogs Shall Sleep on the Bed (but there shall be no TVs in the bedroom or socks in bed). Crying is a wave. Blessed are those who mourn, For they shall be comforted. God will wipe away every tear from [our] eyes; there shall be no more death, nor sorrow, nor crying.